This is an awesome kit which I FINISHED in one day in class! It looked great painted in only two colors -burnt umber and white. There are some extra pieces to try out colors or make other goodies. Since i am a beginner, Michelle had to rescue me from my boo boo of attempting to glue the plexiglass (don't do it! ), but I was able to do the shingle-ing all by myself at home. The shingles are precisely cut and layered and measured to fit and that was my favorite part of the kit. I also installed another seller's working battery-operated LED fireplace all by myself -I recommend you do that as you are constructing the piece instead of "after the fact". It looks awesome! Michelle's chimney and fireplace makes it easy!!!!! "Precise-fit" and precision engineering is absolutely true. This kit is a dream and I can't wait to buy another one. 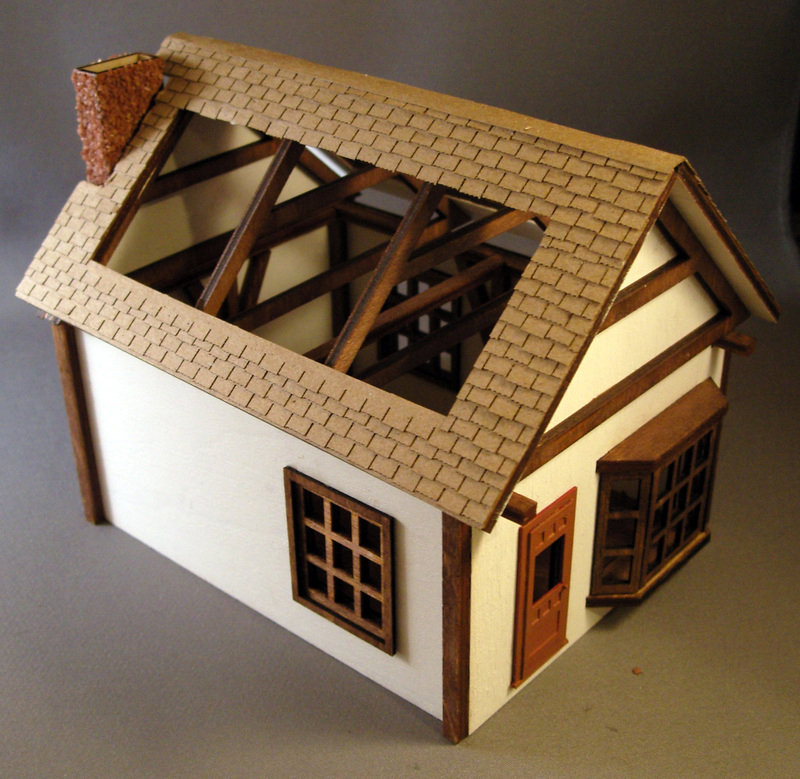 This kit is also very versatile for all sorts of different inhabitants or uses. I have an old English couple in mine, with their cat in the bay window. Highly recommended.